With the Gala only 9 days away, the guest locomotives have started to arrive, although doubt has been cast over the attendance of the ‘extras’. First to arrive, from ‘over the hill’, is ex-LMS ‘Crab’ 2-6-0 13065. The first photograph, taken by Howard Malham is a somewhat depressing image of when the last time this engine arrived on KWVR metals in 1976 direct from Barry scrapyard. 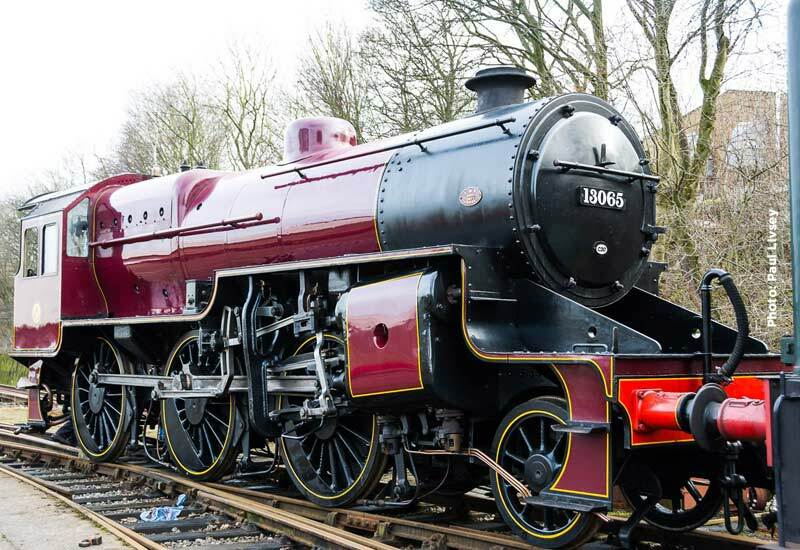 Now resplendent in its original LMS crimson lake livery, the two images illustrate well the work that goes into restoring an engine saved from the scrapyard to running order. 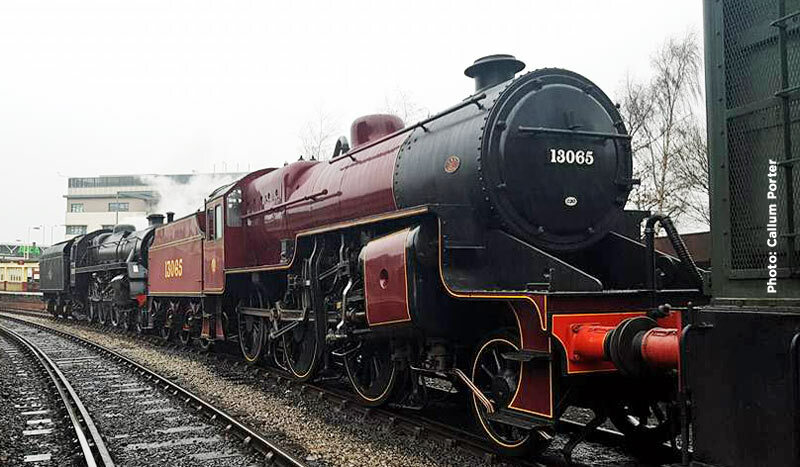 Built at the ex-Lancashire and Yorkshire Railway Horwich works, its first passenger train at the Gala will pair it with the Lancashire and Yorkshire Railway coaches resident on the line. It was announced that we would be joined by two ‘Black 5s’, 45212 and 45407 prior to their participation in a mainline railtour. Unfortunately due to changing circumstances their attendance is now not guaranteed. As with all our Galas we publish the working timetables for the various workings. 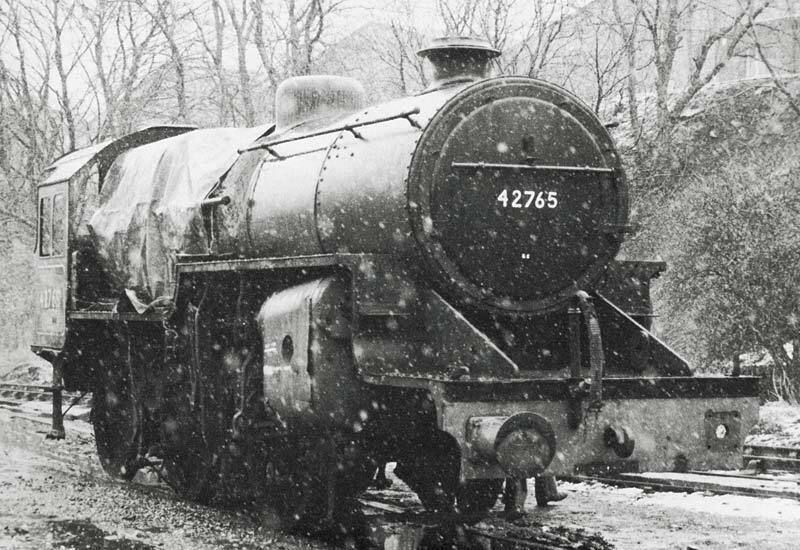 These can be viewed by downloading the 2017 Winter Steam Gala Working Timetable PDF. It is important to note that these timetables have been put together on the assumption that 45212 and 45407 are both attending, but, in their absence, an alternative locomotive has been designated.